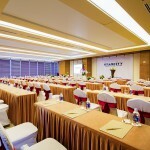 StarCity Nha Trang Hotel is an elegant 4-star hotel of Ocean Hospitality Group. 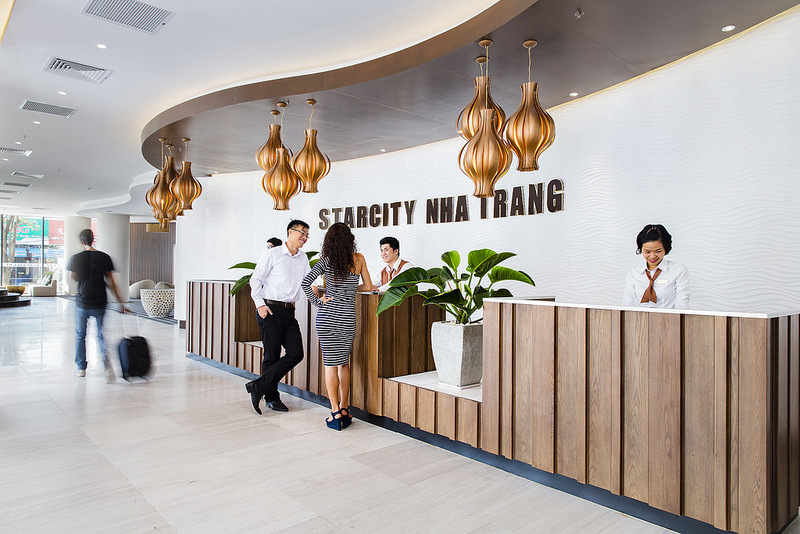 Centrally located in the heart of Nha Trang City and at the fringe of Tran Phu Street, StarCity Nha Trang Hotel’s convenient location makes her a perfect getaway to indulge in a myriad of entertainment. 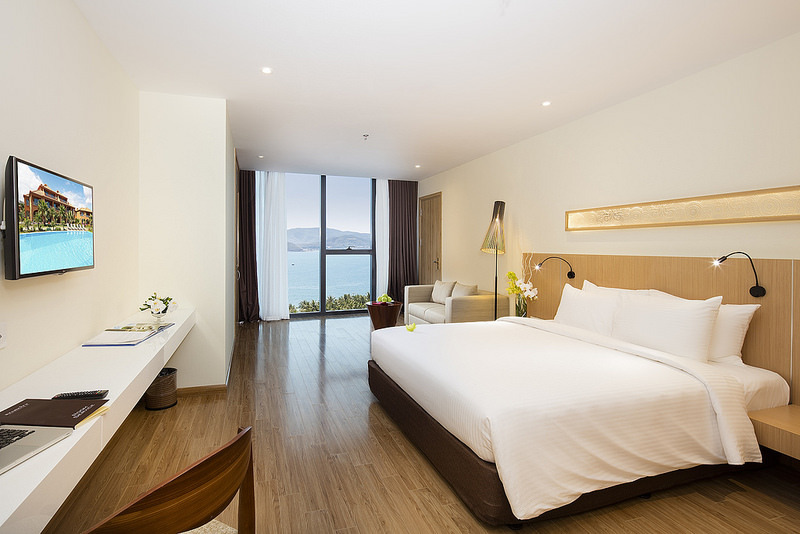 Nha Trang beach is just few steps from the hotel and Cam Ranh International Airport is a mere 40-minute drive away. 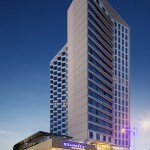 Retail, dinning, attractions and entertainment are easily accessible within walking distance. 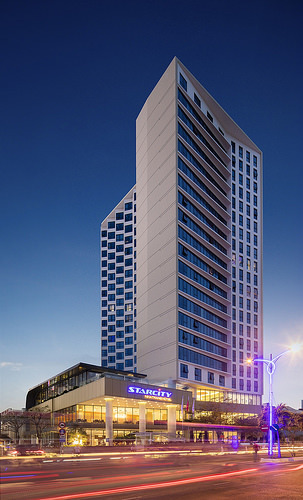 StarCity Nha Trang Hotel features 204 guestrooms that are decorated with a combination of modern and contemporary style to create a cozy feel. 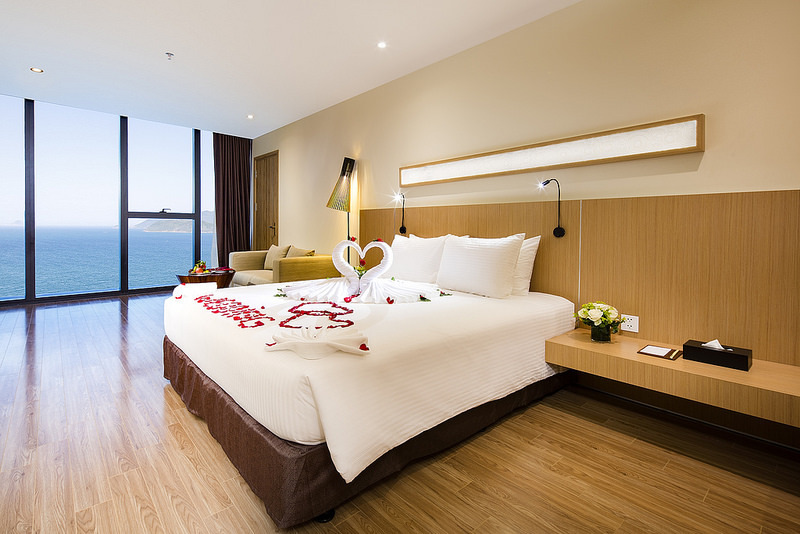 Whether in the comfort of our Premium Deluxe or Deluxe rooms to our basic Superior rooms, you would find well-equipped facilities to your convenience. 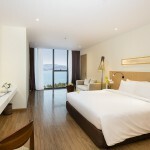 All room types allow you to enjoy the stunning view of Nha Trang bay. 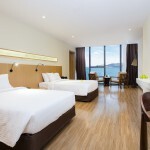 All guestrooms are well-equipped with modern conveniences for business and leisure travellers alike. 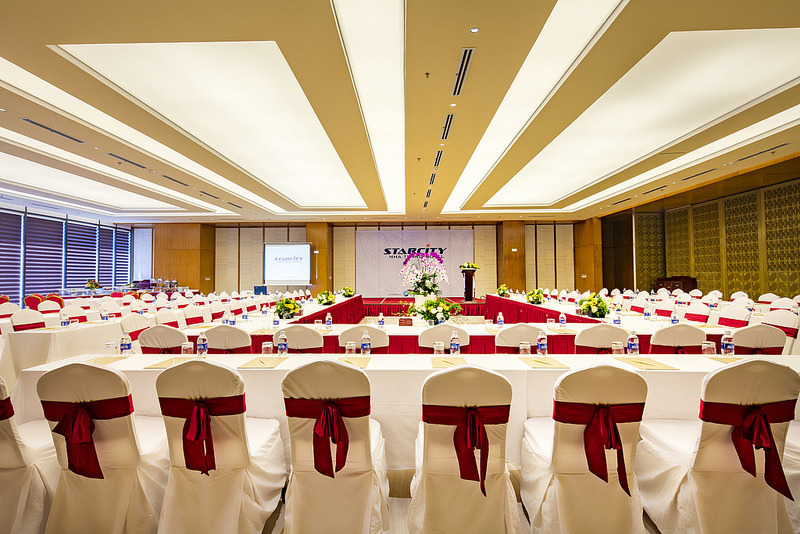 Whether you need to hold a conference or wedding banquet, StarCity Nha Trang Hotel would provide you a pillarless ballroom together with luxury conferencing facilities and professional services. 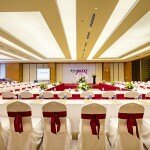 With the flexibility of theatre, classroom, U-shape or banquet style seating, our ballroom can accommodate up to 400 delegates. 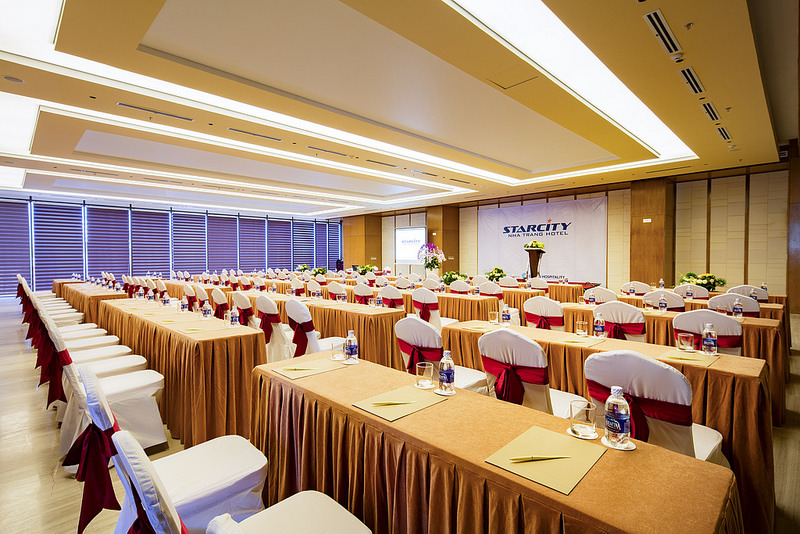 Modern audiovisual and conferencing equipment, as well as complimentary wifi accessibility are available for every event at StarCity Nha Trang Hotel. 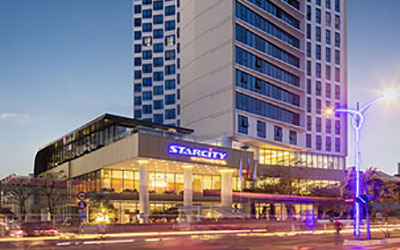 • StarCity Spa: Offering a full range of treatments from head to toe massages, StarCity Spa provides a holistic experience based on the union of modern techniques and traditional therapies. 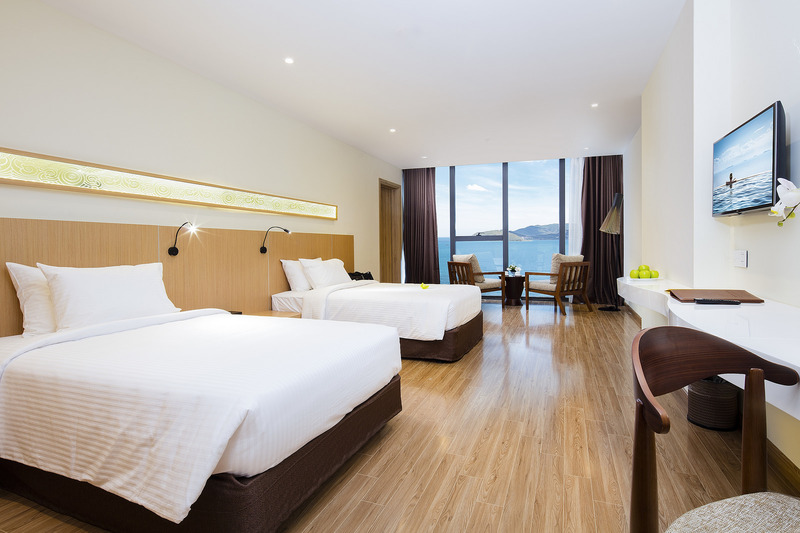 • Swimming Pool: StarCity Nha Trang Hotel features an outdoor stunning swimming pool, to enjoy the fresh air and beautiful sights of Nha Trang Bay. 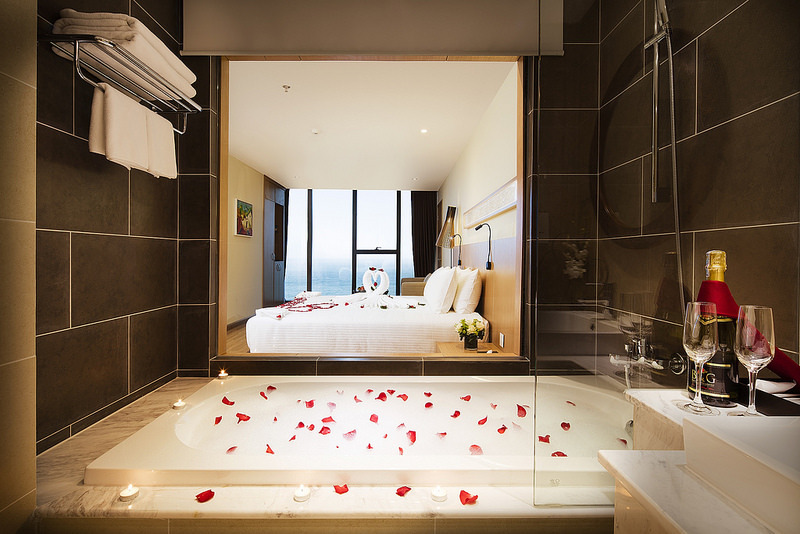 This is the ideal location for guests to lounge on the lavish sun beds or indulge in a swim. 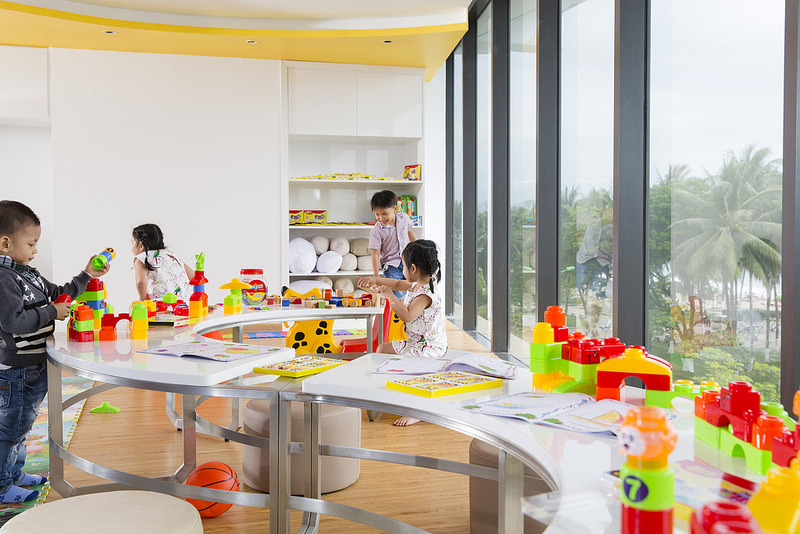 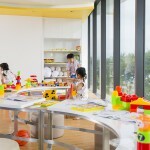 • Kid Club: Here at StarCity Nha Trang Hotel we want to make your holiday as relaxing and stress-free as possible, which is why we design a sea-view Kid Club with plenty of facilities. 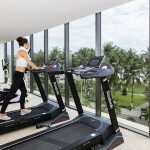 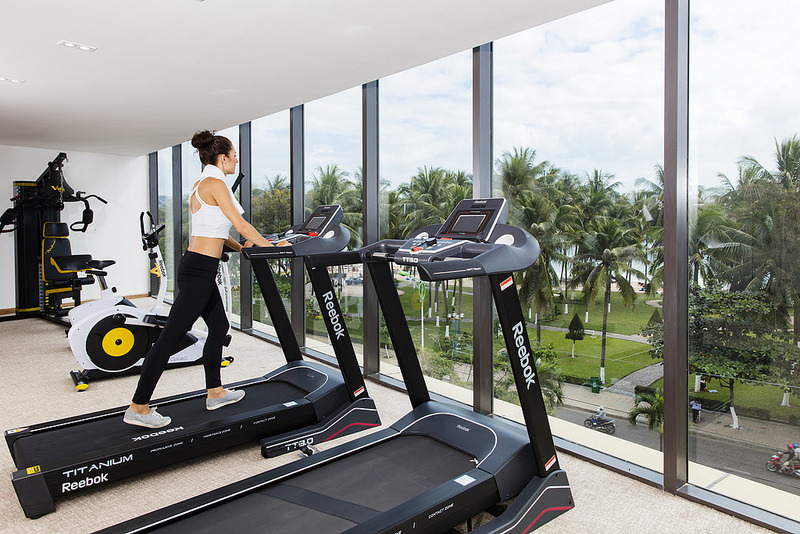 • Fitness Centre: features the latest in exercise technology, including treadmills, exercise bikes, elliptical machines and a comprehensive lineup of weight machines, free weights and stretching devices.